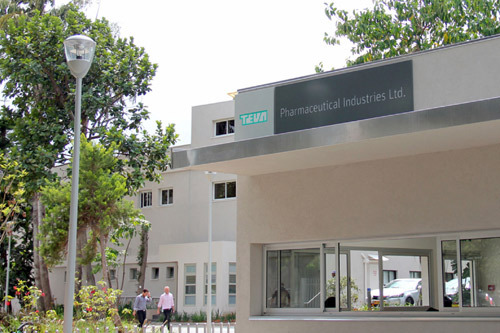 Teva Pharmaceutical Industries, the global leader in generic drugs sales, has further bolstered its market dominance with the purchase of Allergan's generics business, Actavis Generics. Hailed by the two firms as a move that unites “complementary strengths, research and development capabilities, product pipelines and portfolios”, Allergan will receive a £33.4bn upfront payment as well as 100m Teva shares, valued at around $5.4bn. Erez Vigodman, president and chief executive at Teva, said that the acquisition of Actavis Generics “comes at a time when Teva is stronger than ever - in both our generics and specialty businesses”. He added: “Through our acquisition of Actavis, we are creating a new Teva with a strong foundation, significantly enhanced financial portfolio and more diversified revenue source and profit streams backed by strong product development engines in both generics and specialty. The acquisition does, however, hinge on Teva's divestment of a number of Actavis' assets by order of the European Commission to maintain competitive trading standards in the UK and Irish markets. A stand-alone operation comprising a portfolio of the recently-acquired generic candidates and Actavis' Barnstaple manufacturing plant will therefore be created and managed by Teva's UK operations, to be sold off at a later date. The Israeli pharmaceutical firm currently has over 400 products awaiting FDA and Abbreviated New Drug Application (ANDA) approval in the US, and expects to launch 1,500 generics worldwide in 2017. Teva has also revealed a $500m agreement to purchase Allergan's US distribution business, Anda, with the deal expected to close by the end of the year. Allergan's president and chief executive Brent Saunders said the sale of the generic, brand, specialty and over-the-counter medicines distribution giant enables the company to concentrate on its product development. "For Allergan, this divestiture continues our evolution as a focused branded Growth Pharma leader, powered by growing leadership positions across our seven therapeutics areas, developing and bringing to market innovative therapies from our industry-leading pipeline, simplified operating structure and adding new development programmes through our Open Science R&D model,” he explained. Once the transaction has been completed, Anda will continue to operate as a stand-alone business within the Teva group.